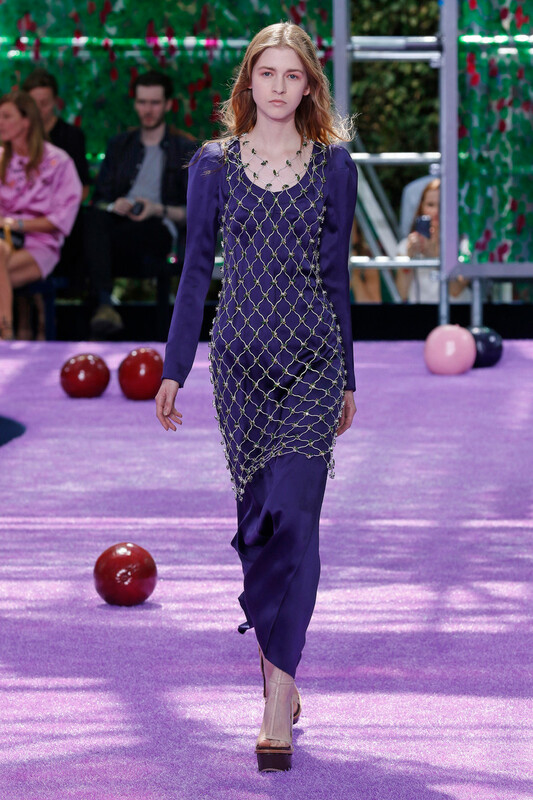 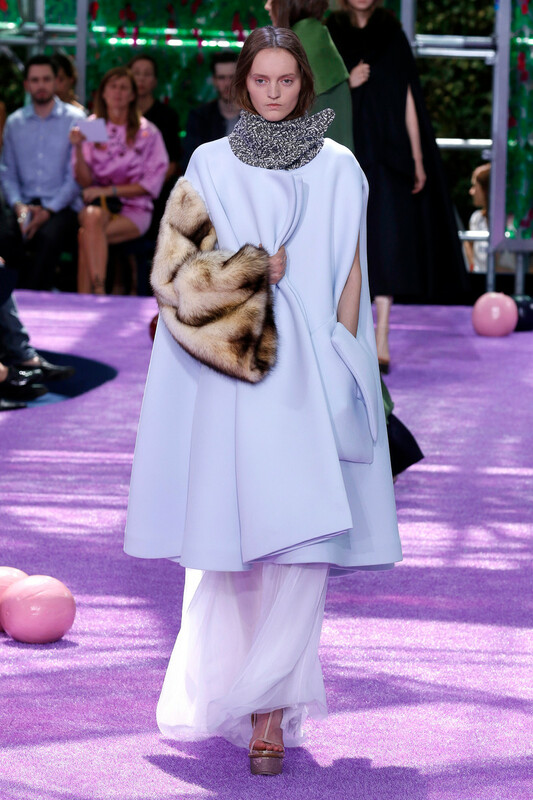 An enormous venue that you feel as if you stepped into a kaleidoscope and a purple colored catwalk with round shaped objects on it awaited us at Dior. 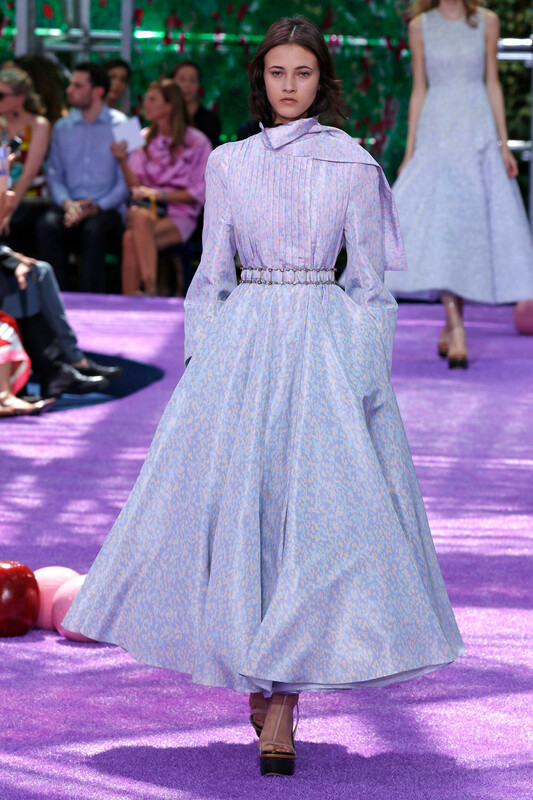 A magnificent scene that formed a perfect fit for a collection just as enchanting. 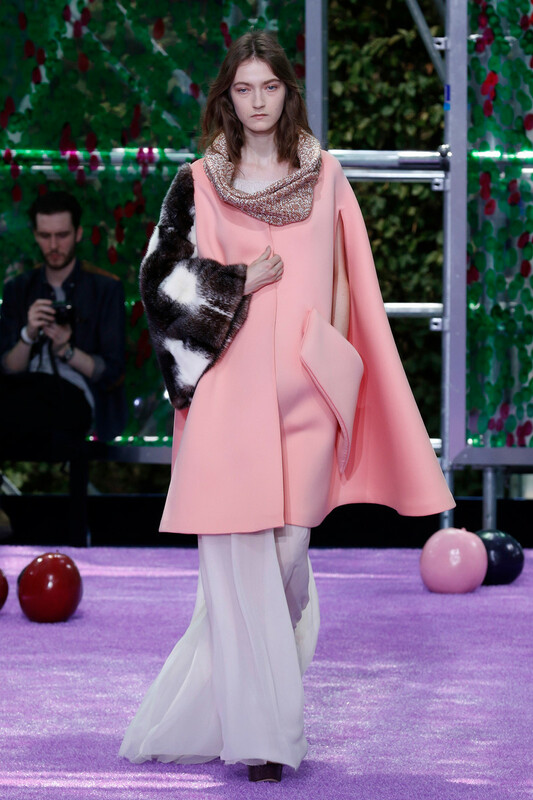 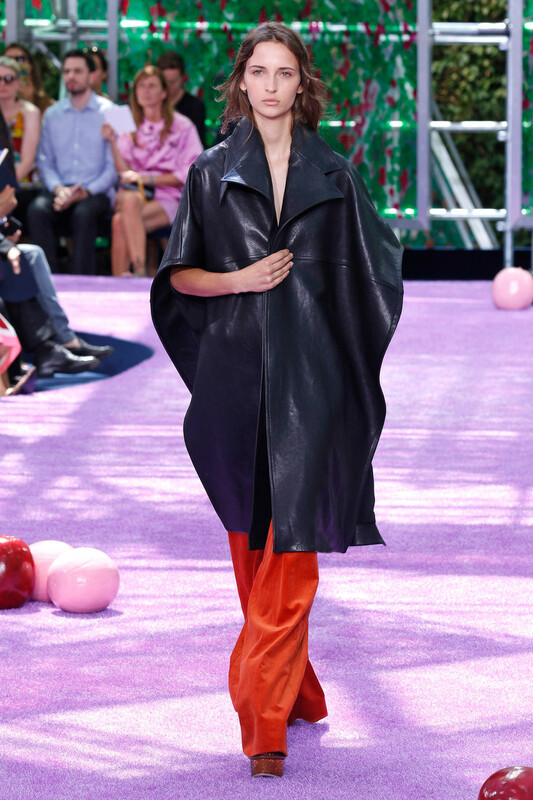 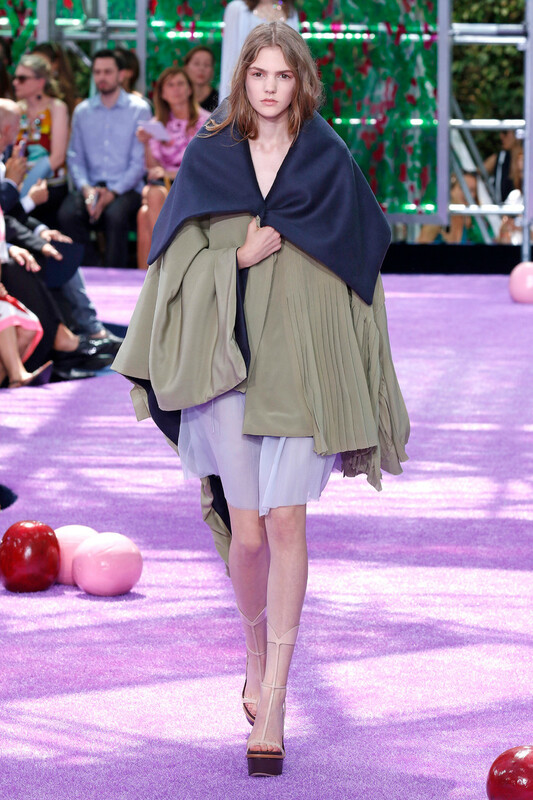 Inspired by Hieronymus Bosch’s fantastical Garden of Earthly Delights and it’s forbidden fruit Raf Simons’ couture pieces were both resplendent and dreamy as well as young and modern. 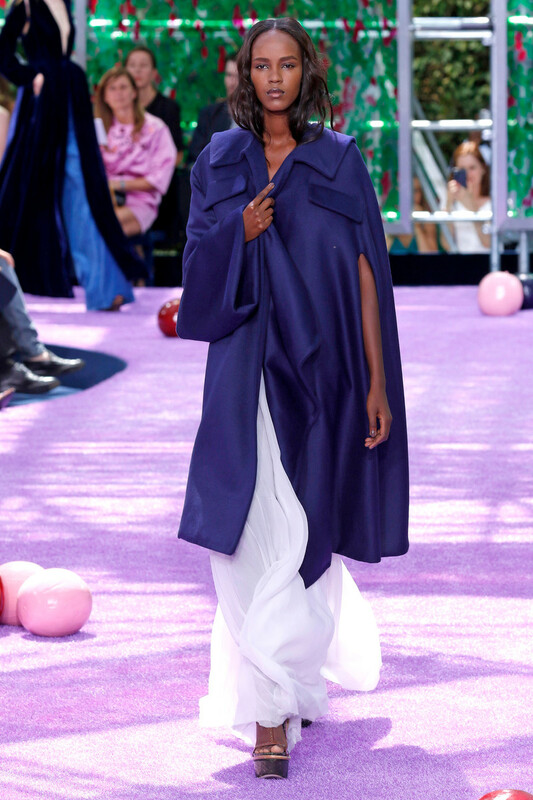 The collection, a mix of light and dark, featured chiffon pieces full of air and innocence (like a playsuit worn by Estelle Chen) while others were much heavier and darker (like a black leather cape with red pants worn by Waleska Gorczevski). 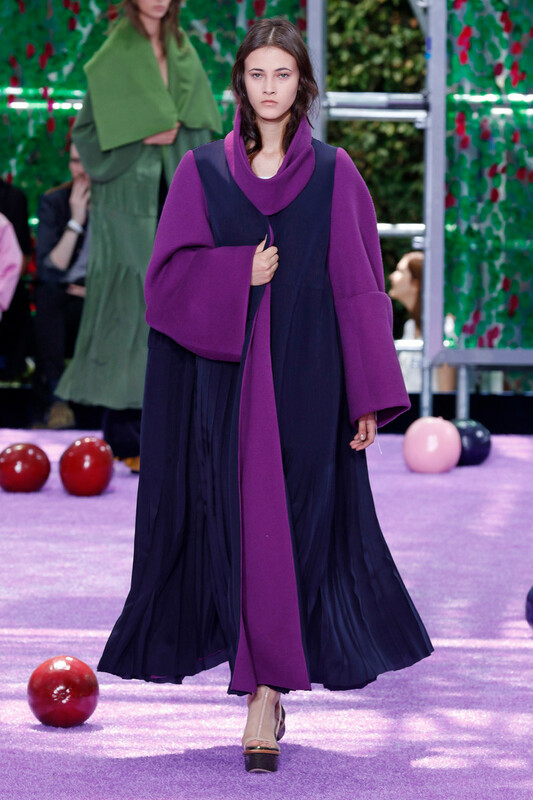 Long and lean dresses, next to sculptured velvety capes and cloaks, tight harnessed bodices, loose sleeves, the New Look silhouette interwoven all the way. 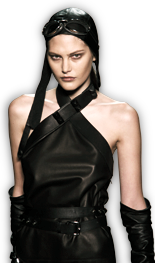 Cut outs and slits added air. 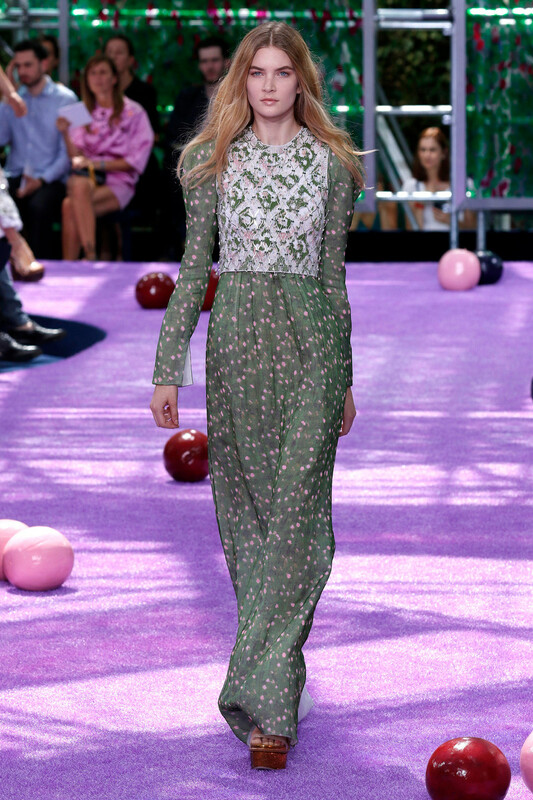 Floral printed garden party dresses were followed up by striking purple and green numbers which formed a true match for any Once upon a time story. 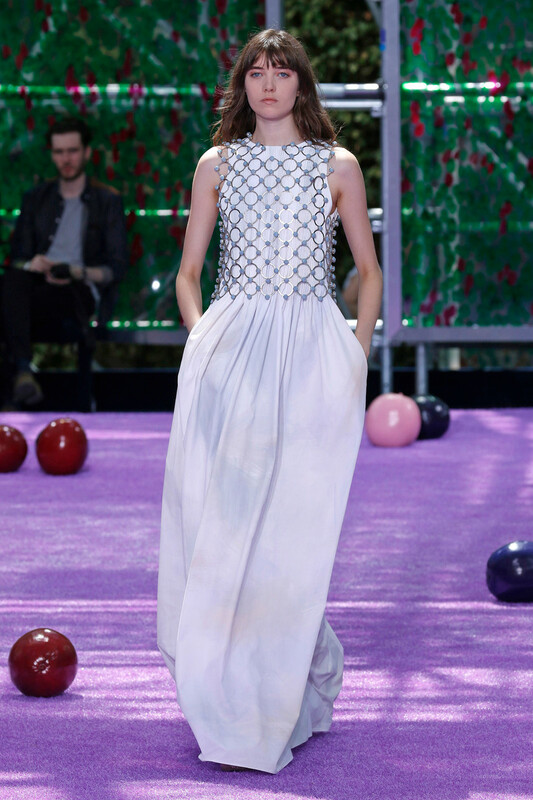 “Dior is always a fairy tale, no matter what I’m doing”, said Simons and mesmerized we were.